The hot water expansion tank is a two-gallon tank that hangs off of your hot water system or your boiler. It is used to absorb excess water pressure. When water is heated or a hot water faucet is turned off abruptly, pressure builds from expanding water molecules. Most of the time your tank is half water and half air; it has a diaphragm separating both. When pressure increases the diaphragm is pushed upward. You can make sure your hot water tank is working by troubleshooting and checking for a few common problems. Tap on the tank. It should be hollow about half way up. If you hear a thud sound instead of a hollow sound it probably means your tanks diaphragm is damaged. Check the temperature by feeling the top and bottom of the tank. The tank should be warm on the bottom and cool on the top if it is working properly. 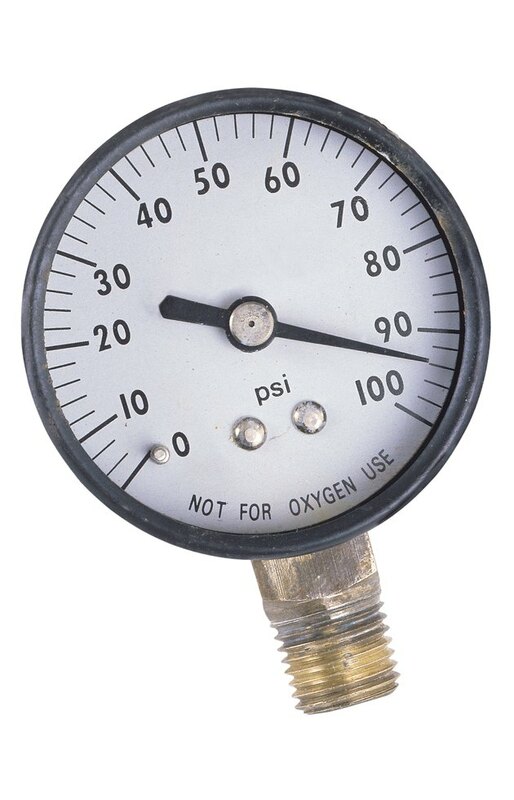 Use an air gauge to check the pressure inside the tank. The air pressure should be 12 psi (pounds per square inch). Check to see if your release valve is spurting water. Look at the valve and see if there is any water residue on it. This tells you that the pressure in the hot water tank is too high.